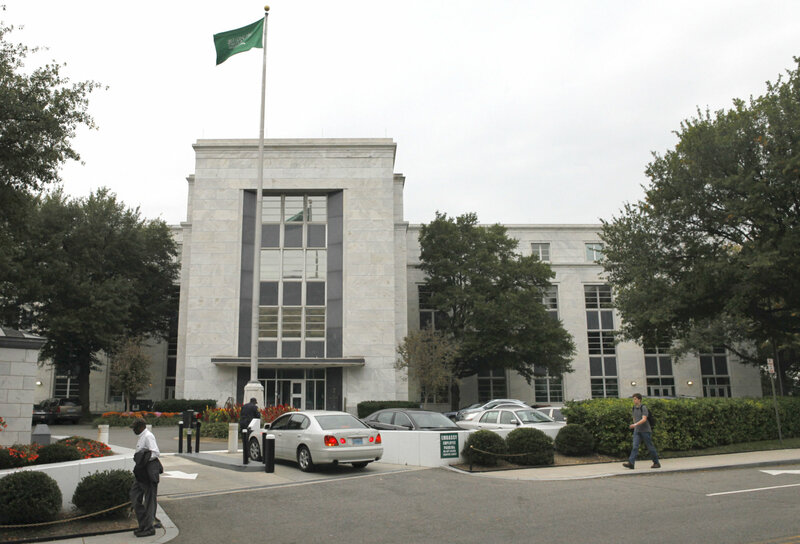 WASHINGTON — A group in the District is sending an international message related to the murder of journalist and Washington Post columnist, Jamal Khashoggi. The move by the ANC comes as senators defy the president and vote to move forward with legislation calling for an end to U.S. involvement in the Saudi-led war in Yemen. U.S. intelligence officials have concluded that Saudi Crown Prince Mohammed bin Salman must have at least known of the plot to kill Khashoggi at the Saudi Consulate in Istanbul last month. An online petition to honor Khashoggi received more than 7,500 signatures. It would change the name of a small portion of New Hampshire Avenue near the Watergate complex. The measure must be approved by the D.C. Council. Earlier this year, the council decided to rename a section of Wisconsin Avenue outside the Russian Embassy to honor Boris Nemtsov, a Russian dissident who was murdered in Moscow in 2015. Such politicized street-naming games are not new to Washington. In recent years, there have been moves to name the street on which China’s embassy is located after famed Chinese dissident and Nobel Peace laureate Liu Xiaobo, who died in prison in 2017. Members of Congress have also supported a similar effort to rename a portion of the road that is home to Cuba’s embassy after Oswaldo Paya, a pro-democracy activist who died in a 2012 car accident that some believe may have been set up by the Cuban government.